Seattle's Massy Ferguson has taken their raucous rock americana to the far reaches of the globe. In the past three years, the four-piece band has played shows in Melbourne, Australia, Munich, Germany and Puerto Pinasco, Mexico, to name just a few destinations. Despite this penchant for the international, Massy Ferguson remains local to the bone, a fixture on the burgeoning Seattle roots music scene that has spawned the likes of Brandi Carlisle and The Fleet Foxes. With an approach that is decidedly more rock than the aforementioned groups, Massy Ferguson combines growling vocals with epic guitar riffs and banging piano to create a sound that is equally burly and soulful. Tracing their influences to bands like The Jayhawks, The Hold Steady and Bruce Springsteen, the group plays its own brand of blue-collar twang rock. In 2008, the Massy Ferguson released its debut full-length album, Cold Equations, which garnered rave reviews nationally despite the fact that it was independently released without the aid of a label. Music tastemaker Bruce Warren of WXPN Radio in Philadelphia made Massy Ferguson his Download of the Day, calling their debut full-length "an impressive record." The album also made waves in Seattle, getting serious spins on Seattle's highly influential non-comm station KEXP Radio and commercial station KMTT "The Mountain." The album helped the band put themselves on the radar as far as press. 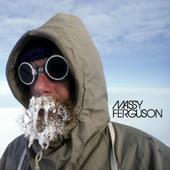 Massy Ferguson was named a 2009 Artist to Watch by Skope Magazine in fall of 2009. In November of 2009, they were featured in a short documentary film about KEXP for MTV.com. Additionally, the band has experienced great success with live shows, packing venues in the Pacific Northwest. They have headlined rooms ranging from Neumos to The Tractor to the Sunset Tavern in Seattle. They have opened for a number of national and international touring acts as well. In the last two years alone, Massy Ferguson has opened for members of Phish and the Grateful Dead, The Bottle Rockets, Fastball, Roger Clyne and the Peacemakers and Micky and the Motorcars, among others. The band recently signed a record deal with Seattle' Spark and Shine Records and are working on their next album which will be released in summer of 2010. Their second-album is much anticipated and should bring the band into greater prominence in Seattle as well as in far-off locations.